Adblock Plus is a browser extension that allows you to block invasive pop ups and advertising while you are using the internet. This version, created specifically for use on the internet with Samsung devices, gives you access to as clean a browsing experience as you are able to have on a desktop computer. 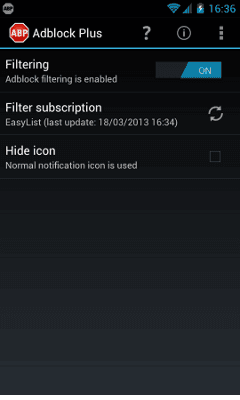 Adblock Plus for Android is also available on Windows. Latest update on October 1, 2018 at 01:33 PM.